Video production brochures have a huge impact and can help you stand out from your competitors, while forming a genuine connection with existing and potential customers. Developing the content for video production brochures may be daunting for some, with uncertainty over what to include and worries that video marketing while impactful, may also be expensive. 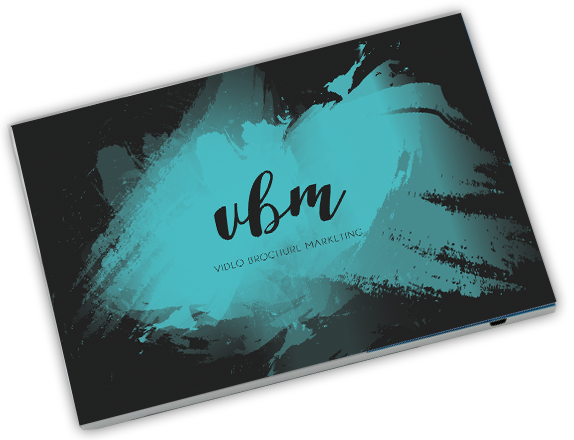 However, at Video Brochure Marketing, we work with you to develop the marketing materials you require within your budget. We offer a full professional production service for all types of videos, including animation. Our creative team, based in London, has extensive experience in branding and website design, so we can give your video production brochure personality while keeping it aligned with your business branding. When creating your video brochure content, production is only half the story. It is important that your video messaging is seen by the right people and yields the desired results. Whether you want higher engagement, more conversions, or simply want to tell people what you have to offer, there’s a video to help you achieve it. Perhaps the most versatile tool is a promotional video, which places your company firmly in the spotlight, but is flexible enough to engage, inform and entice. A corporate video can help you reach customers, employees, investors and the media alike. It can provide your business with a voice, showcase new products, convey the ethos and values of your brand, or help with staff training and development. If you work in a sensitive or professional area and want to communicate confidential information to carefully selected individuals, there are a lot of things to consider. In terms of content, an explainer video which shows customers how your product or service will help them, may be the best approach. This may require animation, graphics or a PowerPoint presentation to provide a greater level of technical detail. Testimonial videos or opinions from leading professionals working in your business area, are a powerful form of word-of-mouth recommendation. They can establish the quality, performance and reliability of your products and services – in a way that is sincere, believable and designed to inspire trust. We can make sure that your video content is locked and password protected so that only the target audience you want can access it. Your video brochure can either be designed to incorporate existing branding or our in-house design team can work with you to create something new. Once you’ve decided what material the video screen surround will be made from and the branding and colours to be used, you can choose button interfaces or touch screen and select your screen size. 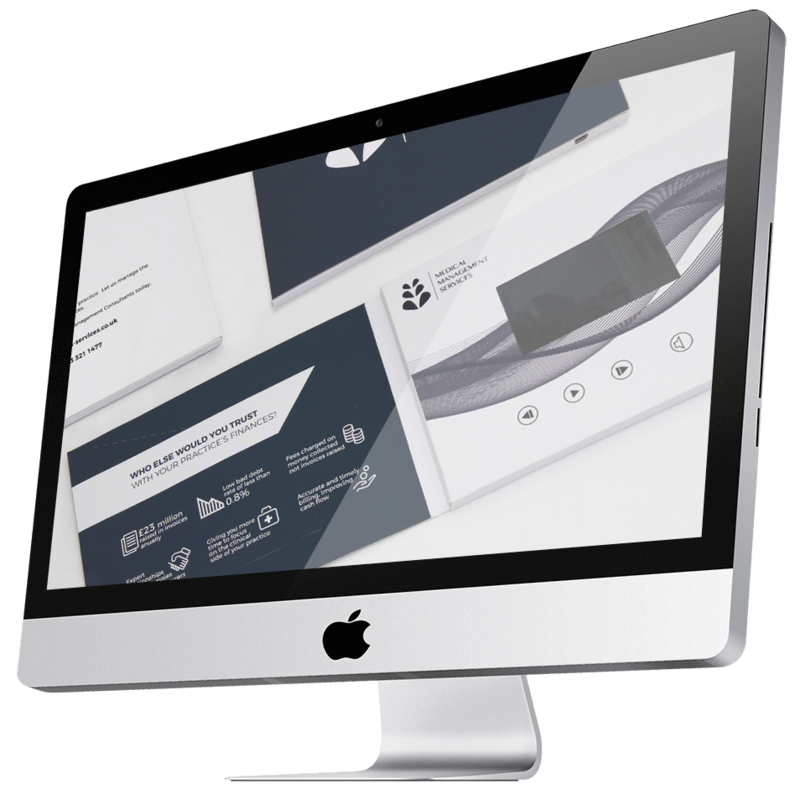 If you want to use your own design team, we can supply brochure templates for them to work from and give any guidance and assistance required. 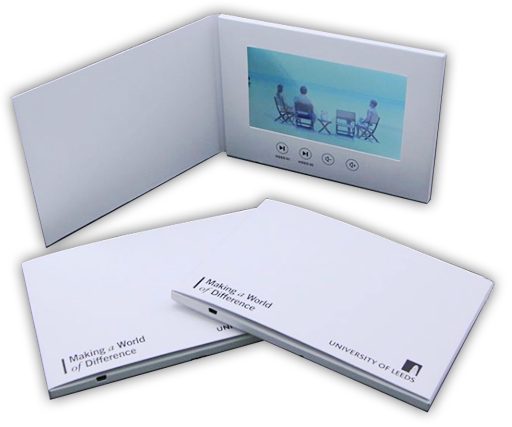 Our standard video brochures are A5 (210 x 248) and A4 (210 x 297), with a choice of four different size of screen. If you require different specifications let us know and we will build bespoke brochures for you if we can. The screen sizes we offer are: 4.3 inches; 5 inches; 7 inches; and 10.1 inches. We also offer a business card sized video production brochure containing a small video screen (2.4”). A simple ‘talking-head’ video is arguably the best way to convey messages on this size card. We provide a simple checklist of questions to help you decide what you want. If you prefer we can discuss your requirements face-to-face and make recommendations based on your objectives. Video Brochure Marketing offers a wide range of video brochures with every aspect customisable. All video brochures produced by us are RoHs compliant! See our examples of our different video brochure sizes and use the video production cost calculator to help you estimate your budget. If you cannot find a size that suits your needs then drop us a message and we will work out a suitable personalised solution. Our video brochure production process is compliant with consumer safety regulations. To increase efficiency all video brochures are produced with advanced and innovative equipment. Not only does this allow us to lower our carbon footprint and waste, but it also increases our efficiency, keeping our costs as low as possible. Our IPS (in-plane switching) screen technology for LCDs (liquid-crystal displays) ensures your video message will be viewed in the highest definition without any angle limitation.